Stories of Lynn01553 774297work MuseumVisit King's Lynn's stunning new attraction where local history is brought vividly to life, with a fun, interactive exhibition. Discover stories of the seafarers, explorers, merchants, mayors, magistrates and miscreants who have shaped King's Lynn, one of England's most important medieval port towns, over more than 800 years of history. Visit King's Lynn's stunning new attraction where local history is brought vividly to life, with a fun, interactive exhibition. 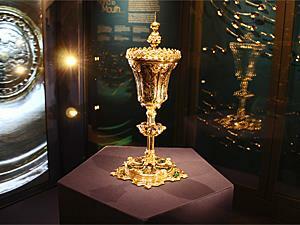 Enjoy fascinating displays, tour the old gaol cells, try on mayor's robes, see the magnificent King John Cup and more!